Bring the legend to life! BigFoot, Sasquatch? this mysterious and much-debated character roams the mountains of North America and leaves enigmatic clues to his whereabouts for intrepid investigators to follow. 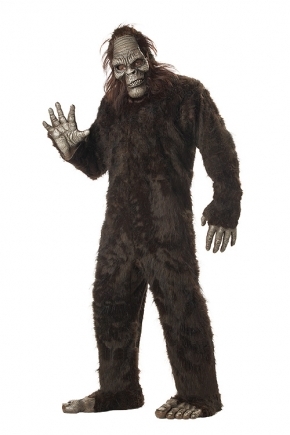 You can guarantee another sighting by wearing this Bigfoot Costume to your next party. Fool everyone and have a laugh, is you Bigfoot costume part of the hoax?